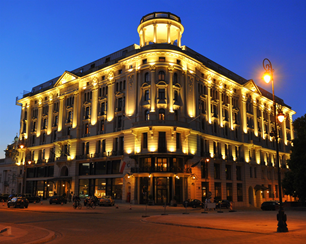 Shares of many hotel companies have rallied in recent months. What are the reasons for this? Can investors find good investment ideas in this sector? Related Research: We had published a report on Mahindra Holidays in Mar 2013. The share is up 109% in 5 years, or 22% annualized. To read the report, click on LINK. Tourism in India accounts for 9.6% of GDP and is the 3rd largest forex earner. It is a high potential, sunrise sector with a multiplier effect on transportation, hotels and exports. 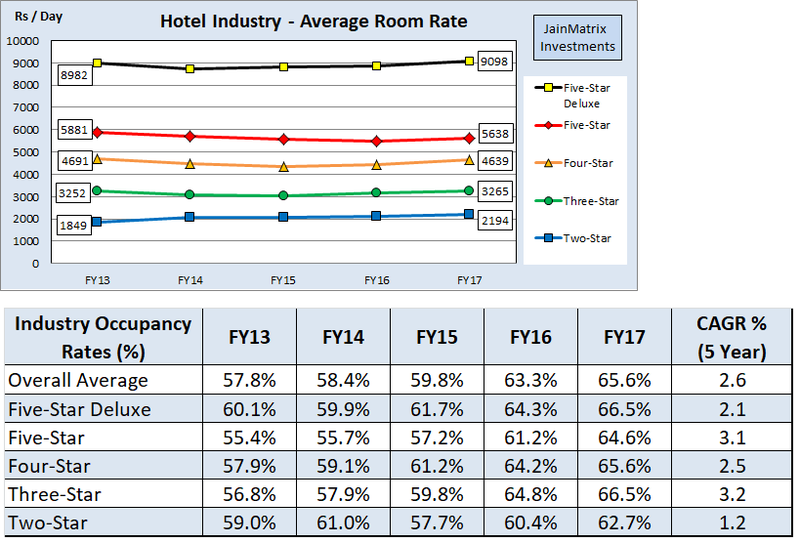 Over the last decade, India’s hotel industry witnessed excess supply of hotel rooms which led to low occupancies, flat/falling Average Room Rates (ARR) and average financial performance of hotels operating across different business segments. See Fig 1 and 2. The hotel sector in India experienced flat to negative growth in occupancies over FY08-13 primarily due to a substantial growth in supply and a decline in demand. During FY12-15, as many as 43,800 rooms were added creating nearly 70% new capacity; and simultaneously the economy and hotel demand grew so occupancy growth was flat. Several hotel firms were loss making in this period. The chart below (Fig 3) reflects the occupancy scenario over the years and the growth projections. We can see that the demand growth is rising, while supply growth has slowed. Improved occupancies are expected to create a base for higher room rates. The higher occupancy and higher ARR’s will improve the earnings of firms from the industry. We have done this exercise of key players to better understand their performance. From the exhibit, we can see that a lot of the companies trade at high P/E ratios. This is generally due to depressed earnings earlier and a recent move from loss to profits. However, a few companies are even now loss making. The 3 year sales and PAT growth for most of the companies was dismal. Returns too are low. The industry was also affected due to liquor ban on operators near highways. This has however been sorted out and is applicable for non-urban locations. The implementation of GST was neutral for the industry. However tax rates may fall now. The hotel industry is clearly witnessing a revival. The hotels witnessing higher occupancy rates and improved pricing power with conservative management will be profitable investments. This document has been prepared by JainMatrix Investments Bangalore (JM), and is meant for use by the recipient only as information and is not for circulation. This document is not to be reported or copied or made available to others without prior permission of JM. It should not be considered or taken as an offer to sell or a solicitation to buy or sell any security. The information contained in this report has been obtained from sources that are considered to be reliable. However, JM has not independently verified the accuracy or completeness of the same. Punit Jain has no positions in any firm mentioned in the report. JM also has no known financial interests in these firms. Neither JM nor any of its affiliates, its directors or its employees accepts any responsibility of whatsoever nature for the information, statements and opinion given, made available or expressed herein or for any omission therein. Recipients of this report should be aware that past performance is not necessarily a guide to future performance and value of investments can go down as well. The suitability or otherwise of any investments will depend upon the recipient’s particular circumstances and, in case of doubt, advice should be sought from an Investment Advisor. Punit Jain is a registered Research Analyst under SEBI (Research Analysts) Regulations, 2014. JM has been publishing equity research reports since Nov 2012. Any questions should be directed to the director of JM at punit.jain@jainmatrix.com.